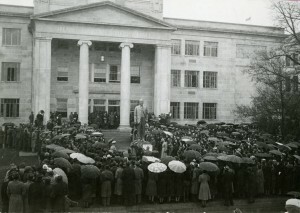 In doing research related to the opening of Ransdell Hall we’ve come across several Founders Day speeches. These are primarily from the 1960’s, but there is an especially interesting one that highlights the earliest years of WKU. A.L. Crabb’s Founders Day Address “It Sounds So Lovely What Our Fathers Did,” reprinted in April 1943 was delivered the previous November 16th. In it he relates his earliest memories as a student in the Southern Normal School in 1904. He introduces the listeners to a host of early faculty including J.S. Dickey, the Cherry Brothers, J.M. Guilliams, J.H. Clagett, M.A. Leiper and Laura Frazee to name a few. 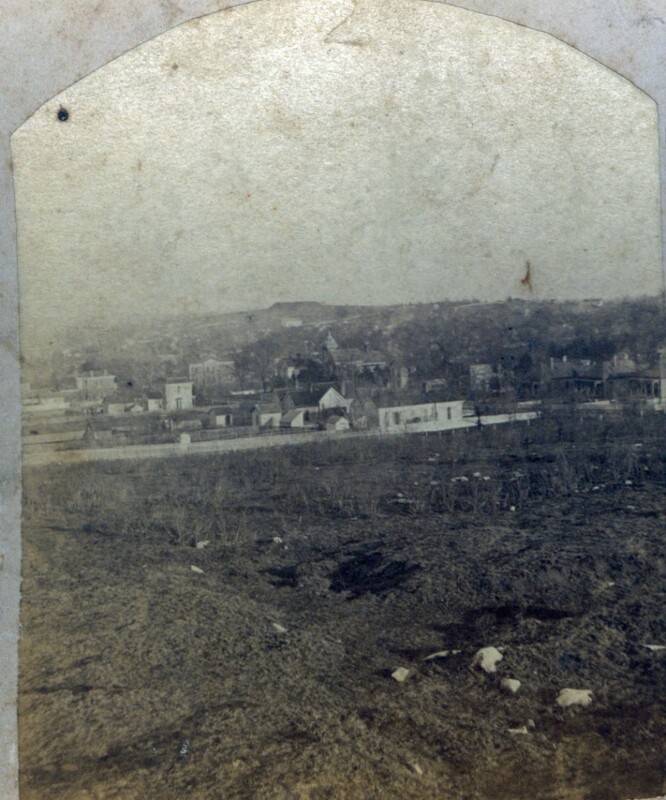 It is a great eyewitness account of the early years of WKU. This and additonal records are available for researchers through our online catalog, KenCat and in the Harrison-Baird Reading Room of the Kentucky Library & Museum Monday – Saturday, 9 – 4. Selected digitized records can be found on TopScholar as well. Before there was WKU, there was the Southern Normal. A school that evolved from the Glasgow Normal, which moved to Bowling Green and changed hands several times before the Cherry brothers took over. 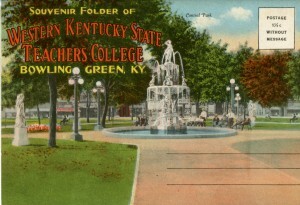 The Southern Normal existed between 1893 and 1906 when it split into WKU and the Bowling Green Business University. 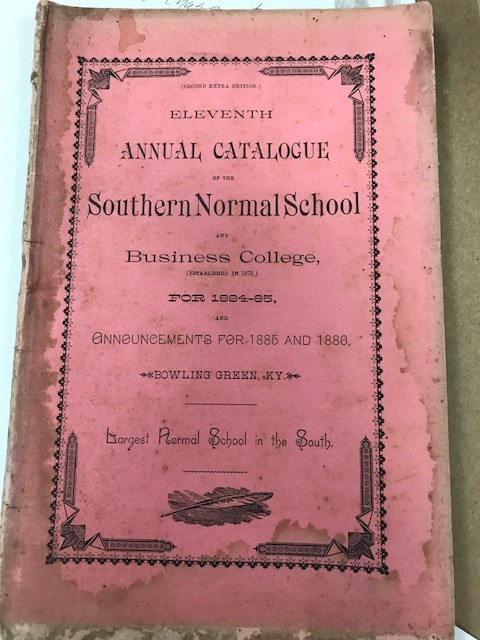 The Southern Educator serves as a journal of pedagogy, alumni magazine, advertisement for the Southern Normal, course listings and gives an overall look into the daily life of the Southern Normal. Published more or less quarterly from 1897 to 1906, the newspaper is being digitized and made available online to researchers. A name index available at: http://www.wku.edu/Library/dlsc/ua/bgbu-a.htm. The Kentucky Library & Museum also holds papers regarding Edgar Cayce and his activities in Bowling Green. 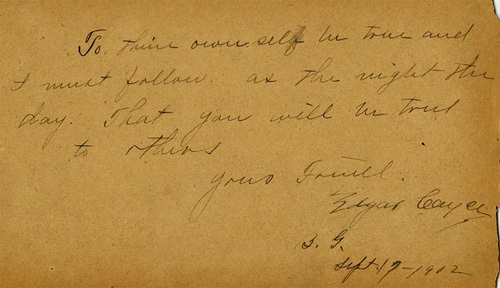 The second autograph album dates from 1904-1907 and is autographed by natives of Kentucky, Louisiana, Mississippi, New Hampshire and Tennessee. Both books have been scanned and are available on TopScholar. 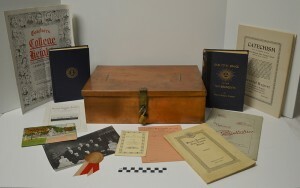 These and other records are available for researchers in the Kentucky Library & Museum. Miss Donnie Love, a native of Horse Cave, Kentucky attended Southern Normal School about 1890. She received a teaching certificate and began teaching in Edmonson County by the age of 16. 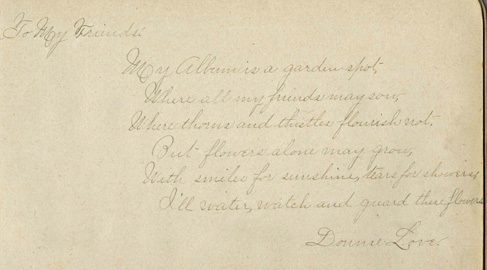 Her autograph book is now in University Archives and has been scanned for viewing online. There are 53 pages of autographs including this notation by Donnie Love herself inviting friends to write in her book. The book is available online through TopScholar.